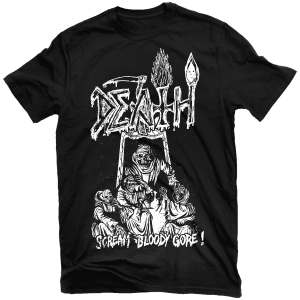 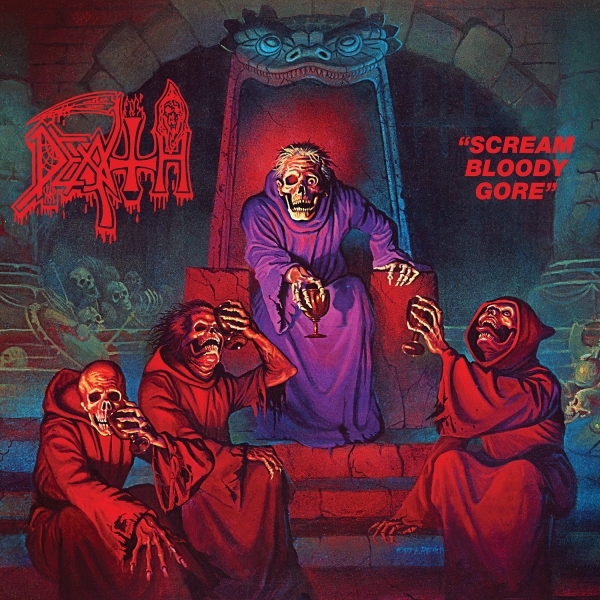 Death Scream Bloody Gore Reissue 12"
DEATH's legendary 1987 debut Scream Bloody Gore is more than just an untouchable album - upon its release, it was positively genre-creating. 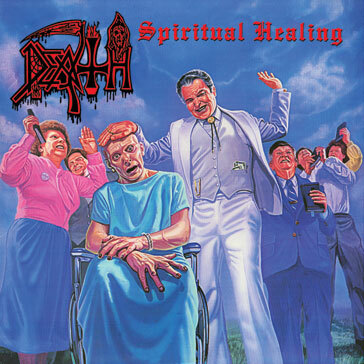 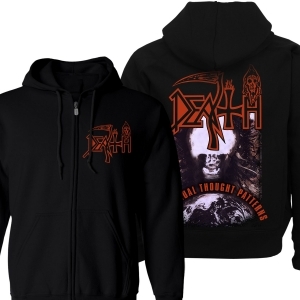 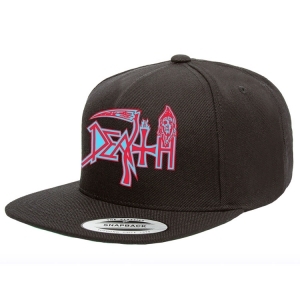 Scream Bloody Gore founded the quintessential death metal sound, with more tormented riffs, screams, and leads than the world had ever imagined, and established Chuck Schuldiner's inimitable phrasing and songwriting style as the most singular voice in the burgeoning genre. 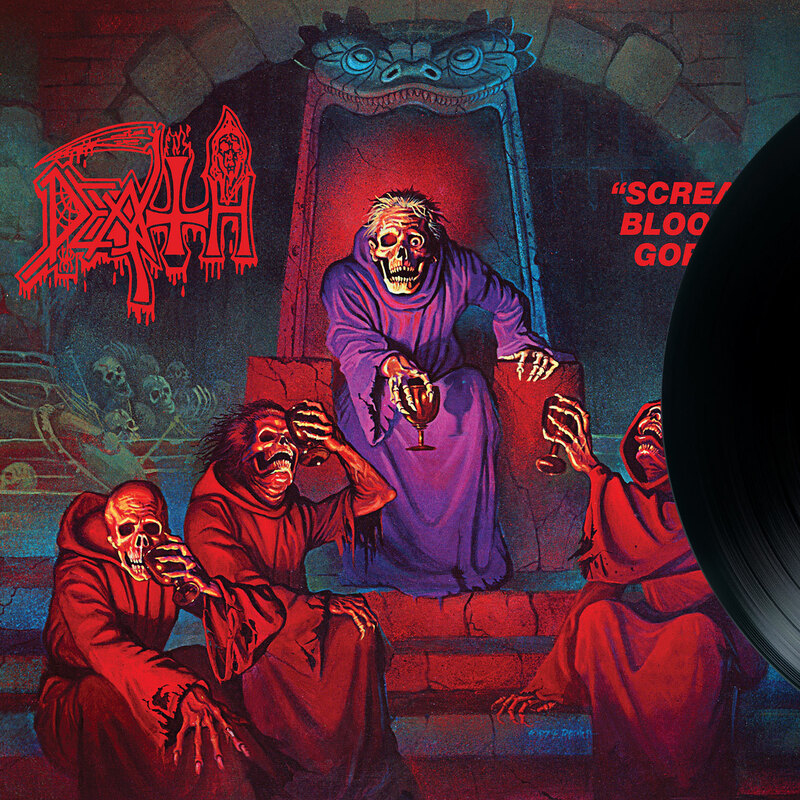 Today, the album is viewed unanimously as one of the all-time most important cornerstones of death metal. 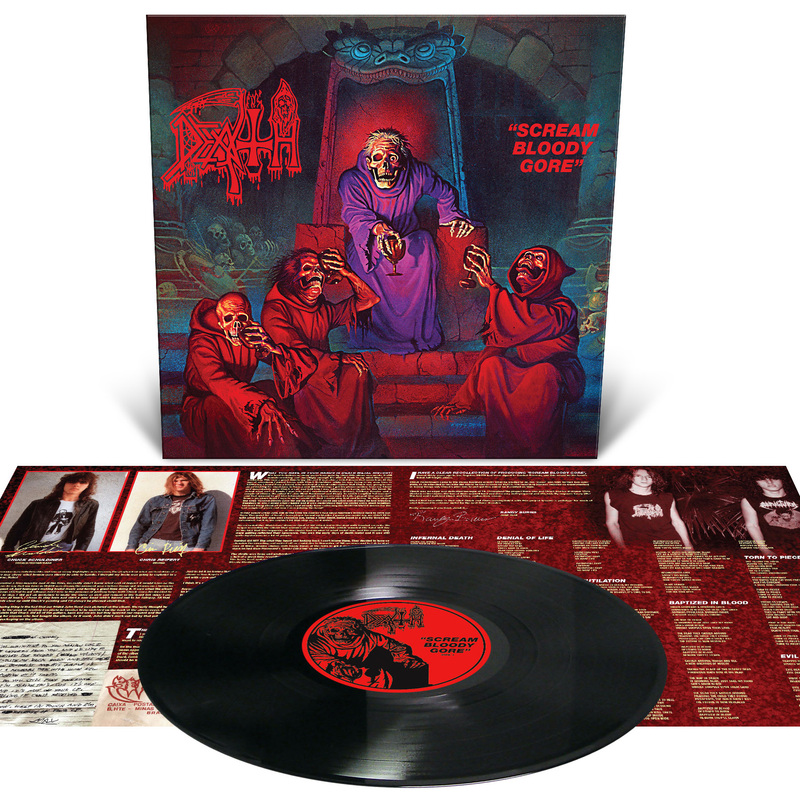 As the final chapter in Relapse's comprehensive DEATH reissue series, Scream Bloody Gore will now receive the deluxe reissue treatment on a wide variety of formats including 2CD, Limited Edition 3CD, LP, Deluxe 2xLP Boxset, and cassette versions. 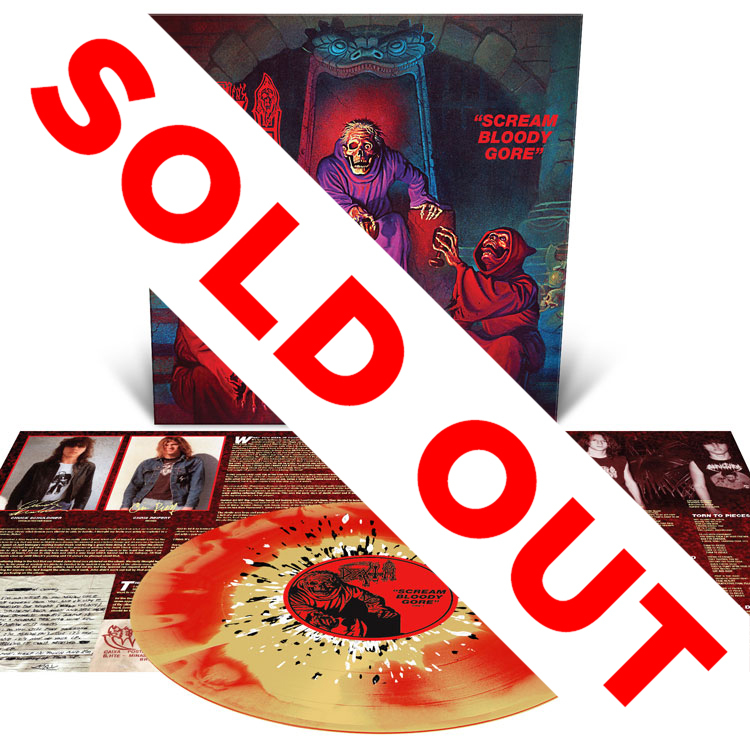 Like the preceding DEATH reissues, the deluxe reissue of Scream Bloody Gore has been meticulously remastered from the original tapes by Alan Douches (Death, Mastodon, Nile) and includes a plethora of bonus content, including previously unreleased recordings and rehearsal demos, super-expanded packaging, and brand-new extensive liner notes from former DEATH drummer / Autopsy founder Chris Reifert, Sepultura's Max Cavalera, and original Scream Bloody Gore producer Randy Burns.